A wood pellet grill represents the height of convenience in outdoor cooking. 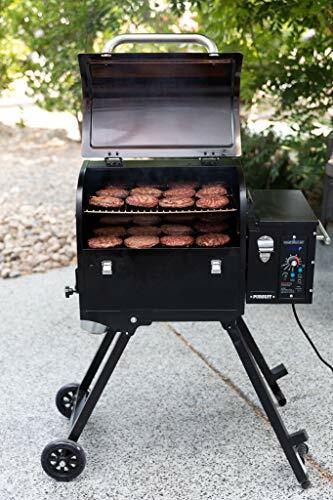 The first units took off right out of the gate and since then competing manufacturers have been trying to put their own spin on the wood pellet grill, in hopes of claiming their own little piece of the market. 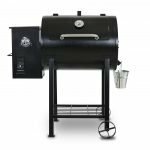 Camp Chef offers a few popular models that are designed to beautifully smoke meat with indirect heat, while they live on your deck or patio. 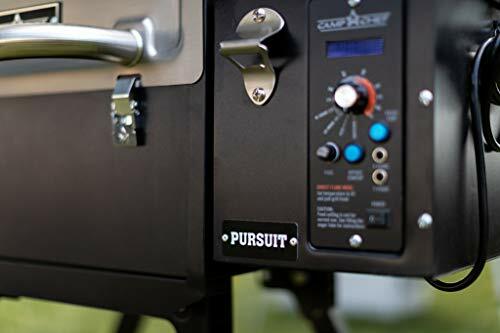 With the Camp Chef Pursuit PPG20, they attempt to answer two important concerns with wood pellet grills by making it portable as well as integrating a lever activated searing function. The Camp Chef PPG20 Purist carefully folds up and has wheels built into its base. When it’s fully compacted it takes up an astonishingly small 2100 cubic inches and weighs a little under 100 pounds. This weight might still seem prohibitive, and it’s the sort of thing that you do need another person to help load it. Once it’s on the ground it does roll rather nicely on two sturdy wheels. The lever activated searing feature allows the flame from the internal firepot to rise up to the grill grates. This is a relatively new feature that only a few wood pellet grills have. The ones that do have it often require you to set it up in advance of turning the unit on, meaning that you can either grill or smoke. You usually can’t do both in the same session without some tricky maneuvers that are likely to burn your fingers. The Camp Chef PPG20 Purist allows you to switch between smoking and grilling in the same session. This means you could do something like slow smoke some chicken drumsticks until they are succulent and tender. Then crank up the heat and switch over to the direct heat configuration to crisp and mark the skin. The hopper for the Camp Chef PPG20 Purist will hold up to ten pounds of wood pellets. The grill also includes a patented ash cleanout system. To use it you simply pull out the ash pan and dump the remaining debris into a metal bucket. 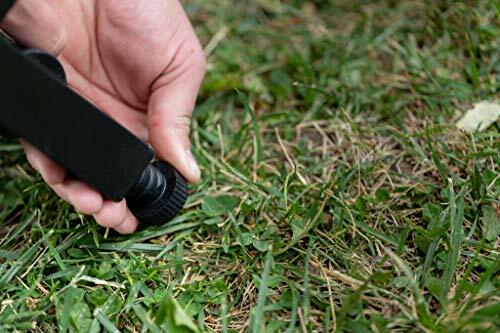 While it does work well, you will still need to vacuum or at least blow out a little bit of ash from the firepot area. Camp Chef also includes two LED temperature controls. One reads the internal temperature of the cooking chamber. The other is a special type of probe thermometer that you insert into the meat and leave it there. This is a really nice feature for times when you might be smoking something like a pork shoulder, where the relationship between the temperature of the smoke and the temperature deep inside the meat isn’t always immediate. When you know the exact temperature of the pork shoulder’s interior, especially around the bone, means that you can turn up the heat if you see the internal temperature has plateaued. As time goes on you can also watch the temperature to make sure it hits the range you want for maximum tenderness and juiciness. The Camp Chef PPG20 Purist is made from relatively high-quality materials. The stainless steel lid is a nice touch. The portability of the grill is nice if you are going to be taking it camping somewhere that has electricity. 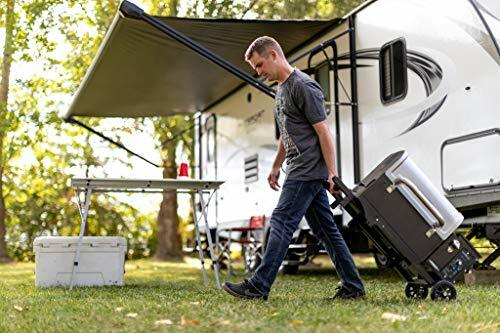 While it is more stable than it looks, it’s still a tad bit on the wobbly side, so if you are going to be taking it with you, make sure to set it up somewhere that’s away from a high traffic walking area. When it comes to assembly. 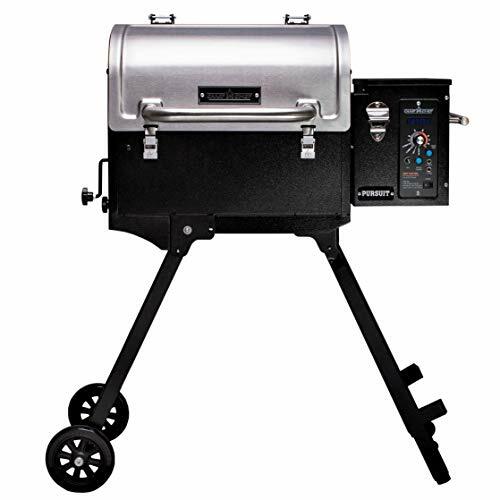 The Camp Chef PPG20 Purist is about as complicated as most other wood pellet grills. Just be sure to take your time reading the directions and laying out all the pieces. You should be able to fully put it together in a little over two hours. When it comes to smoking meat, the Camp Chef PPG20 Purist does well. It imparts a nice smoky flavor. Despite being compact and portable it still has enough room to smoke up to four full racks of spare ribs. Just be sure to rotate the racks from top to bottom at least once in the smoking session to make sure they are all getting the same level of heat and smoke exposure. The lever activated grilling feature is nice. Unfortunately, the effective direct heat area doesn’t encompass the entire grill grate. This isn’t a problem if you are grilling up a pair of New York strip steaks. If you want to grill a lot of hamburger patties at the family reunion, you are going to end up doing a lot of flipping and moving. The top rack can be easily removed if you want to smoke something large or tall. With proper positioning, it could even handle smoking a small turkey. 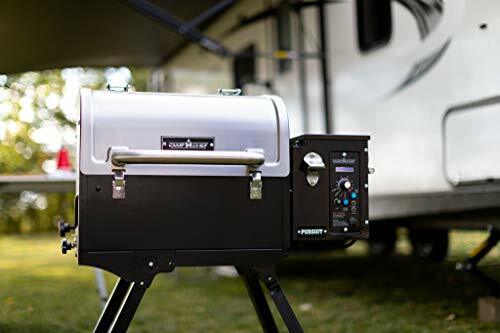 The Camp Chef PPG20 Purist has 501 square inches of grill space between its two racks. The lever activated slide grill technology gives you the ability to grill, even if the Purist is set up for smoking. The dual LED temperature probes tell you what the temperature of the chamber is as well as the internal temperature of the meat. This spares you heat and smoke loss from always having to open the chamber to monitor the meat. The patented ash cleanout system does help with cleanup. Still, you will need to shop vac it or blow it out with a small air compressor to make sure you got all the ash. The grill grates have a nonstick layer that allows you to pull them out and wash them when needed. The Camp Chef PPG20 Purist comes with a three-year warranty. 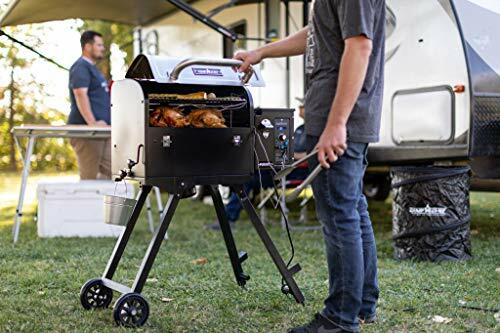 If you want a wood pellet grill that you can take with you and also allows you to sear meat over direct heat, then it’s hard to look past the Camp Chef PPG20 Purist. Just remember that it is still on the heavy side and that you can’t always sear a large number of things at once. 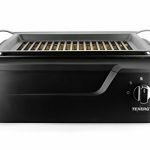 Portable wood pellet grill with a searing feature!